Workers' compensation wage loss ("indemnity") benefits are calculated by analyzing the wages you received during the 52 calendar weeks before your work injury. If you were employed by more than one employer on the date of injury, you are entitled to receive benefits based on wages that you were receiving from all employers. If you have any questions concerning the method by which your employer calculated your compensation benefits, call The Boles Firm and we will provide you with a free calculation of your benefit rate. When you begin receiving benefits, you are supposed to receive a Statement of Wages that describes how your Average Weekly Wage (AWW) was calculated. As you can see by clicking on the link for the Statement of Wages form, if your gross (before tax) wages are fixed by the week, this wage plus gross weekly board/lodging, federally reported gratuities, annual bonus, incentive or vacation pay is your Average Weekly Wage under the Pennsylvania Worker’s Comp Act. Because board/lodging, vacation pay, bonus and incentive pay are the most frequent source of errors in Statements of Wages, be careful to double-check these calculations! If your wages vary from week to week, you must gather your paystubs for the 52 weeks before your work injury occurred to calculate your benefits. If you do not have your paystubs, ask for a printout from the personnel office of your employer. To determine your weekly benefit, you must divide the 52 calendar weeks that preceded your work injury into four 13 week periods and add up the gross wages you earned during each 13 week period. Make sure you use the pay period covered by your paycheck (which should be stated on your paystub) and not the day your employer issued the check. If you are paid every two weeks, this presents a slight problem: when calculating the total gross wages you earned for a particular 13 week period, the last pay stub in each period will overlap with the next period. You handle this by dividing by two the gross wages earned during the two weeks that run from one period into the first week of the next period and. Assign one half of your gross wages for this two week period to period one, and half to period two. Let's assume you are paid biweekly gross wages ranging from $1,520.00 to $1,650.00. Let's further assume for the pay period ended October 2, 2015, you earned $1,620.00. The two week pay period ended October 2, 2015 does not match any of the four periods that set forth above. Handle this by dividing the amount you received for that 2 week period, $1,620.00, in two, yielding $810.00. Assuming you earned $1,580.00 for every 2 week period ended through September 18, 2015, your total pay for the second period would be $10,290.00. When you divide $10,290.00 by 13 you get your average weekly wage for period two, $791.54. This procedure must be followed for each of the four periods. To calculate your AWW and compensation rate, you must take the sum of the highest three period weekly averages, and divide by three. Divide by 52 the total amount of any annual bonus, incentive or vacation pay you received during the year before the injury and add that to the weekly wage. In our example, This yields an AWW of $890.77 ($791.54 + $869.23 + $ 930.77 = $2,591.54/3 = $863.85 + $26.92 = $890.77) for the year. 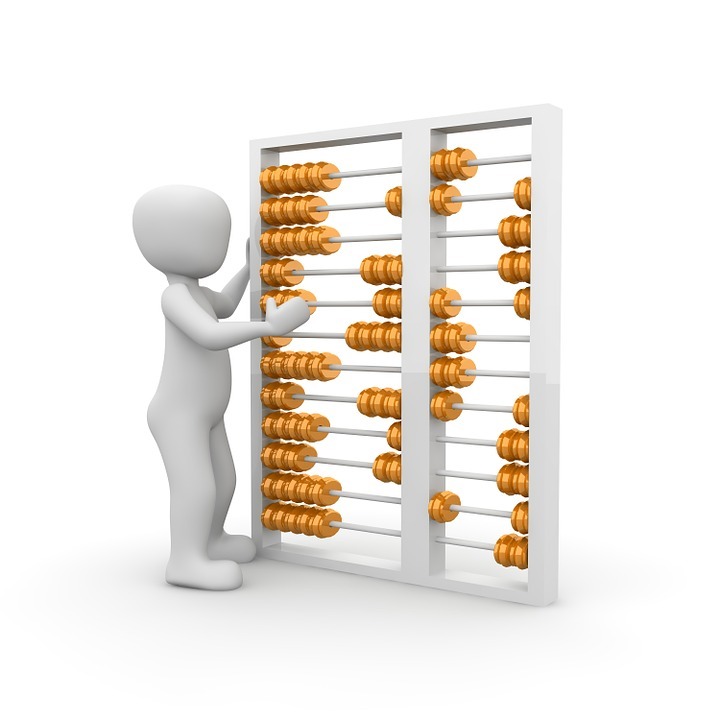 If you worked more than one job, you must do the same calculation for each and add them together. If you haven't worked for the employer for at least three consecutive periods of 13 calendar weeks in the 52 weeks preceding the injury, the same calculations are done but only for completed 13 week periods. You then average any completed 13 week periods to get your AWW. If you've worked less than a complete period of 13 weeks and you don't have a fixed hourly wage, your AWW consists of your hourly wage times the number of hours you were expected to work per week under the terms of your employment. You must add to that your annual bonus, incentive or vacation pay divided by 52. These calculations will cover most situations. There are some other more unusual situations in which you should almost certainly consult an attorney, including when you are working a seasonal occupation or worked less than 13 weeks for the employer. Once you calculate your AWW, you must determine your weekly benefit (compensation rate). For most people, this will be tax free benefits equal to two-thirds of your AWW. In our example, the weekly benefit that will be paid is $593.85. For individuals who have low wages, the compensation rate may well be different, and there is a maximum rate you can receive no matter how high your wages were. If you click here, it will take you to the Pennsylvania Bureau of Worker's Compensation's compensation rate schedule page. Click on the year your injury occurred, and the rate schedule will appear. In our example, the injury occurred during calendar year 2016. For people earning $733.51 or more, the compensation rate is their AWW multiplied by .667, though their benefit rate may not exceed $978, the maximum for 2016. For individuals earning between $489.00 and $733.50 in gross weekly wages, the compensation rate is $543.33. For individuals earning $543.32 or less per week, the compensation rate is .9 times the AWW. The AWW and Compenpensation Rate will appear on the Notice of Temporary Compensation Payable (NTCP) or the Notice of Compensation Payable (NCP). What's included in calculating my Average Weekly Wage (AWW)? • Wages received from all concurrent employment are used to determine the AWW. If you work for more than one employer, your AWW should be calculated for each job and then added together. Any additional job must be one you have at the time of injury. • Earnings must come from an employment relationship and wages received as an independent contractor are not included. • Overtime pay may not be eliminated in determining your pre-injury AWW. • If you were expected to work overtime but suffer a work injury before a 13 week period has ended, the overtime pay you would have earned had you not suffered the injury is to be included in the calculation of the AWW. • Gross wages include gratuities and board and lodging received from the employer. Gratuities can be included in wages only if reported by the employee for federal income tax purposes. Money advanced to reimburse an employee for board and lodging is to be included in computing the AWW even if they are not included in the employee's federal income tax return. • Bonuses, incentive and vacation pay are to be pro-rated over the year and added to the AWW after the annual amount is divided by 52. • Supplemental unemployment benefits paid pursuant to a collective bargaining agreement are included in the AWW. • Profit-sharing payments may be wages for purposes of calculating the AWW. • Exercised stock options may constitute wages for purpose of calculating the AWW. • Fringe benefits are not included in wages. • Unemployment compensation benefits are not included. • Commissions earned by an employee for the part-time sale of real estate are not added to earnings from the employer liable for payment compensation if the sales person qualifies as an independent contractor for state or federal tax purposes. • Veterans and Social Security benefits are not wages. • Flex dollars provided by the employer for an employee to use to pay the cost of medical and dental benefits are health and welfare benefits and are not included in the calculation of the AWW. • Volunteer emergency workers, including members of volunteer fire departments, are employees and have an irrebuttable presumption that their wages are at least equal to the statewide average weekly wage. • If an employee missed time from work and received workers' compensation benefits for a prior work-related injury during the 52 weeks prior to the most recent disabling injury, the AWW of the employee for the first injury is to be included as earnings when calculating the AWW for the second injury. There are many ways a workers' compensation insurance company can cheat you if you do not pay attention, but there are remedies available if you are not being paid properly. If you'd like an insider's view of the Pennsylvania workers' compensation system, download a free copy of The Wounded Worker: Inside the Pennsylvania Workers' Comp Maze.